The Axe Game is the perfect place to hold your birthday party, corporate outing or other occasion. Groups up to 54 in number can secure our facility for $1500. The rental is for 3 hours and includes a common area for meetings, catering or relaxing. One 60-minute coached session for each six person group (on nine lanes) is included. You can use the remaining time to meet as a group, or enjoy free throwing axes. 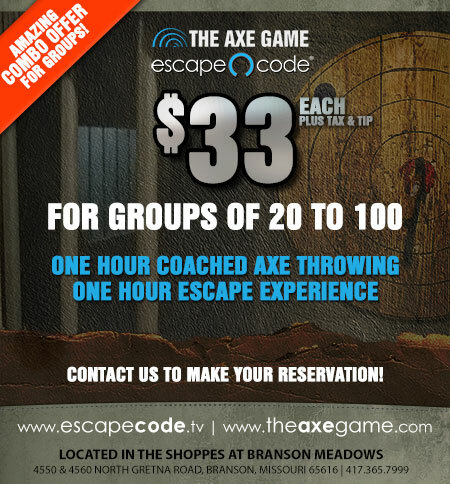 Groups of four to twelve in number can secure a range at $20 per player by booking The Axe Game Experience. (Fewer than 4 can throw, but at least 4 spots must be reserved). To book more than twelve people, you must contact us via phone or by submitting the form below. While you can only book up to twelve people using our online booking system, by calling or us or sending a message, we can accommodate up to 54. The minimum number of players required to qualify for our group rate is 20. Group bookings must be made with one of our agents in person or over the phone. The special group rate is $15 per player. The minimum payment to secure a reservation is $327.30 (20 players x $15 each plus 9.1% tax). Also, please remember to consider a generous tip for each coach. They will be working hard to ensure your group has a phenomenal time!